As a result of extensive fundraising that began in 1998 The Land Conservancy of BC (TLC) purchased the lands in along the Nanaimo River September 1999 and April 2000. Following the acquisition and protection of the only park along the Nanaimo River, a 99-year lease agreement was signed between the Regional District and TLC. The lease requires that the Regional Park operate as a nature park and that it be managed in accordance with the conservation aims of TLC. 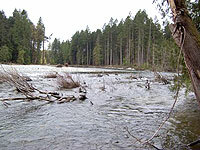 In 2005, the Nanaimo River Regional Park Management Plan was completed. The Management Plan is a policy document that guides the short and long term operations and administrative requirements for managing the Park. It was developed in 2004 with input from various agencies, organizations and residents who live near the Park. Detailed policies were developed that aim to achieve park management objectives within eight categories: Accessibility, Public Safety, Environment, Park Use, Standards, Operations and Administration, Economic Development, and Cooperation. 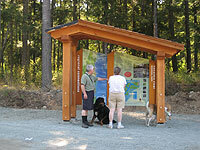 For access to the full Nanaimo River Regional Park Management Plan, see the Quick Links section to the right.